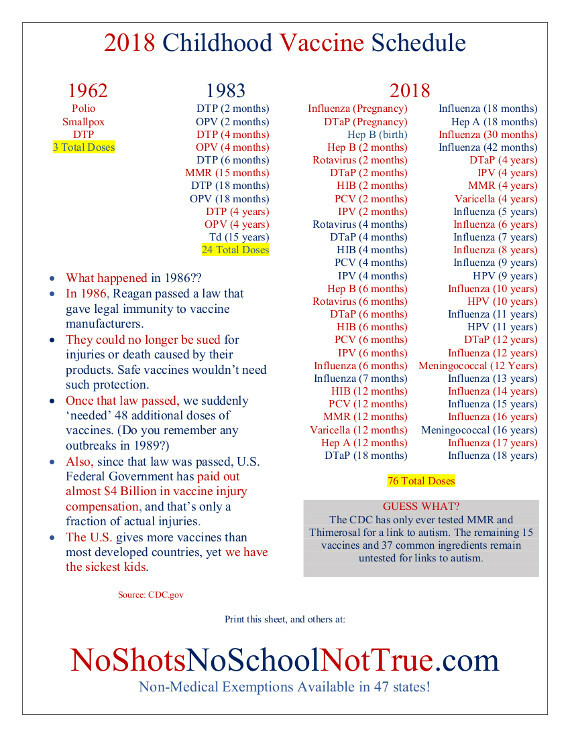 Single page PDF flyer for printing that shows the number of antigens and vaccines recommended in 2011. 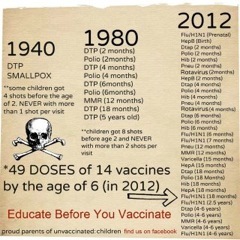 How many Injections of Vaccines before age six will your child get? And how many Antigens do these Vaccines contain? Also, how many more Injections and Antigens before age 18? Injection: A single shot that may contain vaccines for more than one disease. Note: for ease of presentation, we are counting oral capsules and sprayed influenza vaccine as "shots." Vaccine: A concoction of antigens and other toxic materials. Antigen: Any substance that stimulates the production of antibodies. A wide variety of substances are antigens. These substances include viruses and even fragments of the protein covering of virus. A vaccine against a single disease may contain several antigens (strains of pathogen associated with a single disease.). Some people will count this as several vaccines. For consistency and clarity, we will count this as one vaccine containing several antigens. Here, the word vaccine refers to a concoction against a single disease regardless of how many strains of pathogen (separate antigens) are in the vaccine. We will use the word antigen to count each stimulation to the immune system by an individual virus strain, bacteria variety or toxin. 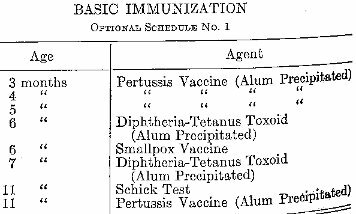 Example: The polio vaccine contains three different viruses. Each virus is an antigen, thus this triple antigen injection will be counted as a single vaccine containing 3 antigens within one injection. Or in one sugar cube, if referring to the Oral Polio Vaccine (OPV). As another example, the older pneumococcal vaccine (PCV 7) contains 7 strains of pneumococcal viruses and currently PVC 13 contains 13 strains of pneumococcal viruses. Each of the pneumococcal vaccines also contains diphtheria toxin. Thus PCV 7 vaccine contains a total of 8 antigens but is only intended to be a vaccine against seven strains of pneumococcal disease. The diphtheria component is present in the vaccine to boost the immune system response so more antibodies againt the pneumococcal antigens are created. The diphtheria component in the Hib vaccine is for the same purpose. Some other single injections contain multiple vaccines. Each antigen is a separate vaccine. Example: DTP is a triple vaccine against diphtheria, tetanus and pertussis. MMR is another triple vaccine against measles, mumps and rubella. Full sized source of CDC schedule above. Number of Injections ACIP recommends before Age 6. Number of antigens in each injection. If in both HIGH RISK groups. † If Rotarix is administered at ages 2 and 4 months, a dose at 6 months is not indicated. ^ With certain combination vaccines the 6 month dose is not required. * Denotes children in a high risk group. If your child is not in a high risk group, he/she will receive 34-36 injections. Note: This chart includes both nasal and oral administration in the term "injection". Number of Injections ACIP recommends between ages 7 and 18 years. ** Hepatitis A series is not required if the series was administered to the child aged 2 through 6 years. Thus, if your child is not in a high risk group, he or she will receive 17 "injections", and if in both high risk groups will receive three more for a maximum of 20 injections. Note: we include both nasal administrations in "injection." Vaccines recommended before age six in 1983 compared to 2007. In 1983, a child received 10 injections before age six but in 2007 the number of injections recommended is 36. In 1983, the 10 injections against seven diseases included a total of 30 antigens. The child's body experienced 30 separate stimulations of the immune system from vaccines. In 2007, the 36 recommended injections contain 116 antigens or almost 4 times as many stimulations of the immune system as in 1983. A reduced size of the 2007 CDC chart is here. The Vaccine Schedule graph above was downloaded from: http://www.whale.to, an excellent site for vaccine information. Note: The vaccines recommended in 2006 are the same as for 2007. 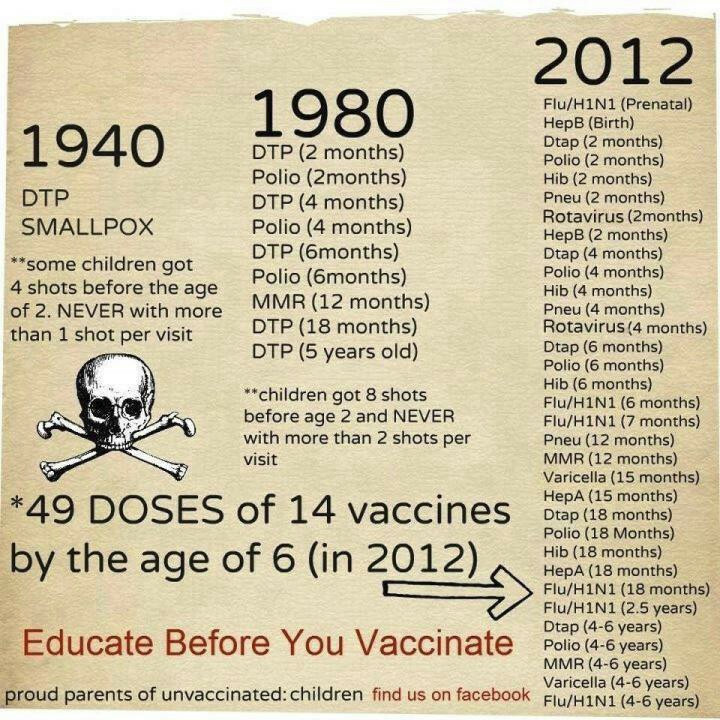 You can see at a glance that 3 vaccines were added between 1985 and 1995. Then 5 more vaccines were added for boys between 1995 and 2006 and a 6th vaccine (HPV) was added to the recommended list for girls. Thus over twice as many vaccines are recommended in 2007 as in 1985. The number of antigens has increased by 4 times. 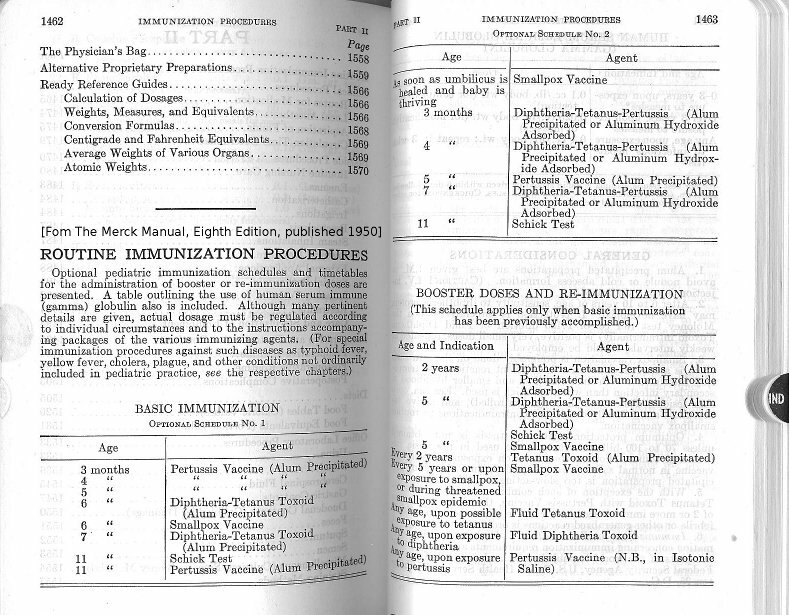 From 1985-1995 - 3 vaccines were added to the recommended schedule. 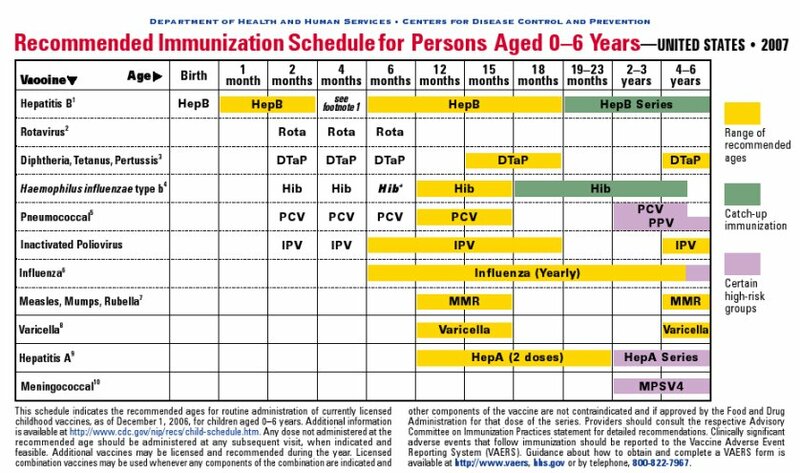 From 1995-2006 - 6 more vaccines were added to the recommended schedule. There is a page of links to several versions of the CDC 2007 Childhood and Adolescent schedules at: http://www.cdc.gov/vaccines/recs/schedules/child-schedule.htm. The years 1995 through 2010 are available in html files, plus 1983, 1989 and 1994 are available as JPEGs. https://twitter.com/tracifrost1976 Scroll down toward page bottom. Another way of looking at the increase of the number of vaccines over the past 20+ years is to look at the total price increase. 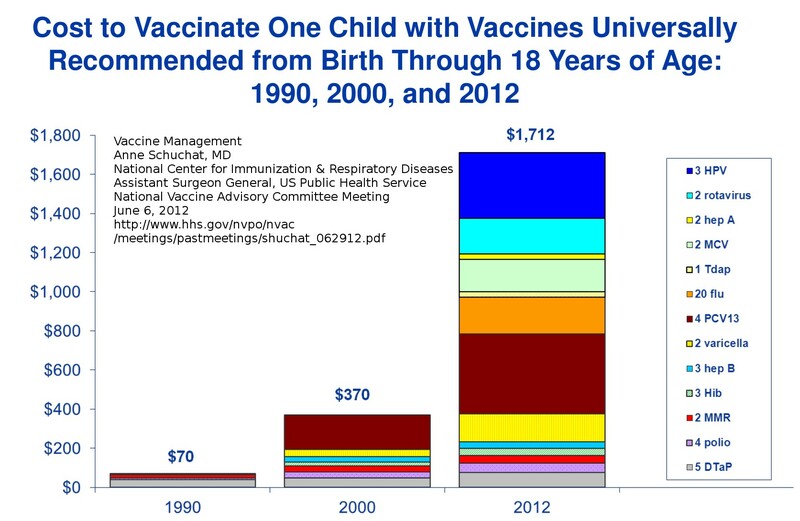 Note: this includes ages birth to 18 years so the number of vaccines is higher than shown in the graphs above. Click here to download a 239 KB (large), 1673 x 1090 px version of this graph. Click here to download a 125 KB, (medium) 1024 x 767 px version of this graph.